Wyong Coal’s long-gestating Wallarah 2 coal project in New South Wales may have secured a federal government approval, but the project could still be nixed if Labor wins the next state election. Federal Minister for the Environment Melissa Price approved the beleaguered project on January 18, about 12 months after the project received initial approvals from the NSW state government’s independent planning commission. 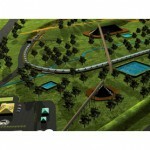 The project still needs to complete its final feasibility study. Wallarah 2 is a longwall underground thermal coal project northwest of Wyong on the NSW Central Coast. The project — expected to require up to 300 full-time jobs — is approved to extract up to 5 million tonnes per year until at least 2046. It has, however, been a contentious project in the Central Coast community primarily due to its potential water impacts to the region’s catchment river systems, as well as other environmental and social impacts. The Labor Party has plans to scrap the mine’s approval should it win the upcoming NSW state elections in March through use of the Wyong Special Area (Protection) Bill 2018, first drafted by Shadow Minister for Industry and Resources Adam Searle in March 2018. 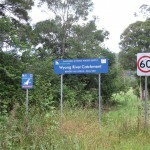 The bill is used to protect certain areas of Wyong from mining activities by prohibiting the granting, renewal and modification of licences and leases in the area. It specifically refers to the protected land in question as the site of the Wallarah 2 project. 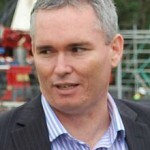 Wyong Coal project manager Kenny Barry said the bill raised “ethical and legal implications”. 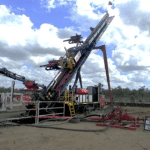 “Unfortunately, after successfully navigating multiple scientific, environmental, social and economic assessments, the results of which have time and again debunked the claims of imminent environmental disaster by project opponents (and vote chasing anti-mining politicians), Wallarah 2 finds itself the subject of a politically motivated campaign by the NSW Labor Party,” Barry told Australian Mining. The Australian Coal Alliance (ACA), a community group that has long opposed the project, expressed its desire for Labor to be elected in the next election. “We need to ensure Labor is elected so it can be put to the lower house and [the bill can] become law. There is no need to panic, we are still fighting the same corrupt system, and hopefully we get a [Federal Independent Commission Against Corruption] soon too,” the group wrote on its Facebook page in response to the federal approval.